A couple of floors up a steep and narrow staircase in an apartment building in Sheung Wan, Hong Kong, I find the home of Eyal Cohen. The house is what the Chinese call a ‘walk-up’, a building from the 50-60s with no elevator. 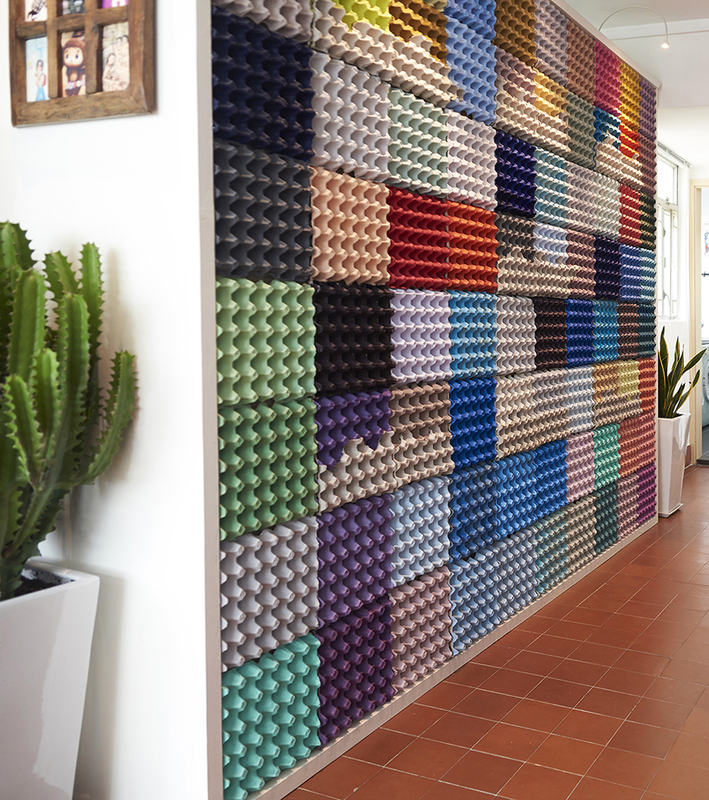 The first thing I see as I step inside is a bright and colourful wall made of – egg cartons. It’s a cheering and welcoming sight and a real work of art. His apartment is fairly spacious for Hong Kong, 575 square feet* and consists of one large room, a kitchen and a bathroom. 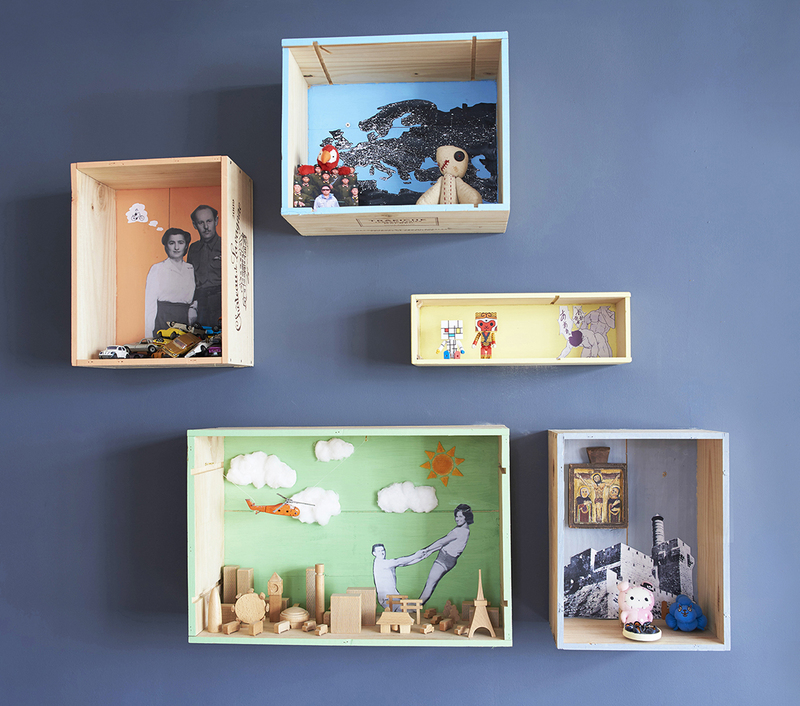 It’s furnished and decorated by himself and filled with fun and eye-catching things. One wall has an image of a large ostrich with a hat. A full-scale sheep with blue wool is standing on top of a bookshelf. Origami squirrels are playing on a tree trunk on the floor. This is a home whose owner clearly has had a lot of fun whilst decorating it and I’m eager to hear the story behind it. This is an excerpt from the book Home Life Around the World and is one of the personal homes I visited on my travels.